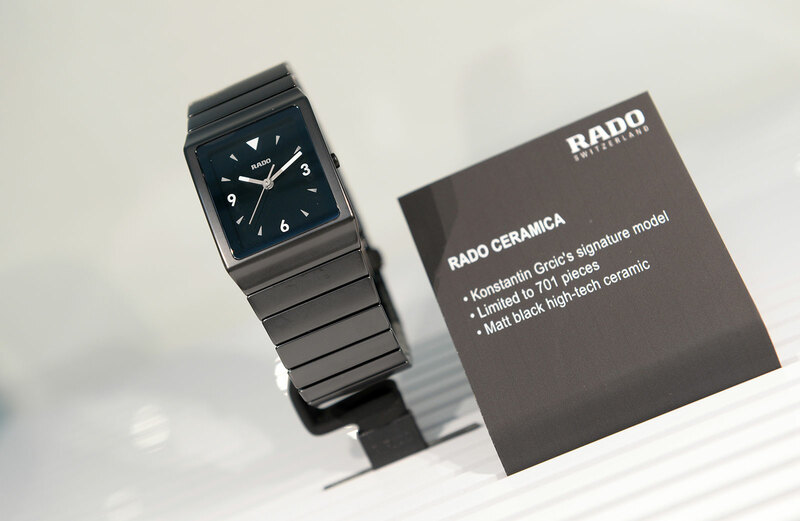 Konstantin Grcic redesigns Rado's classic rectangular ceramic wristwatch. 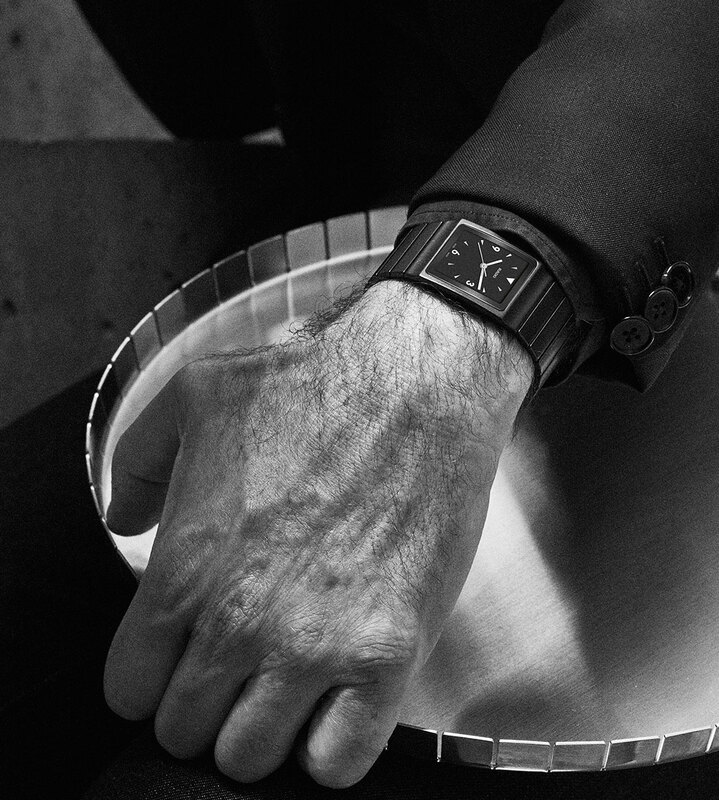 An industrial designer best known for his furniture and lighting – the skeletonised, stacking Chair One being amongst his best known works – Konstantin Grcic was recruited to restyle the Rado Ceramica. 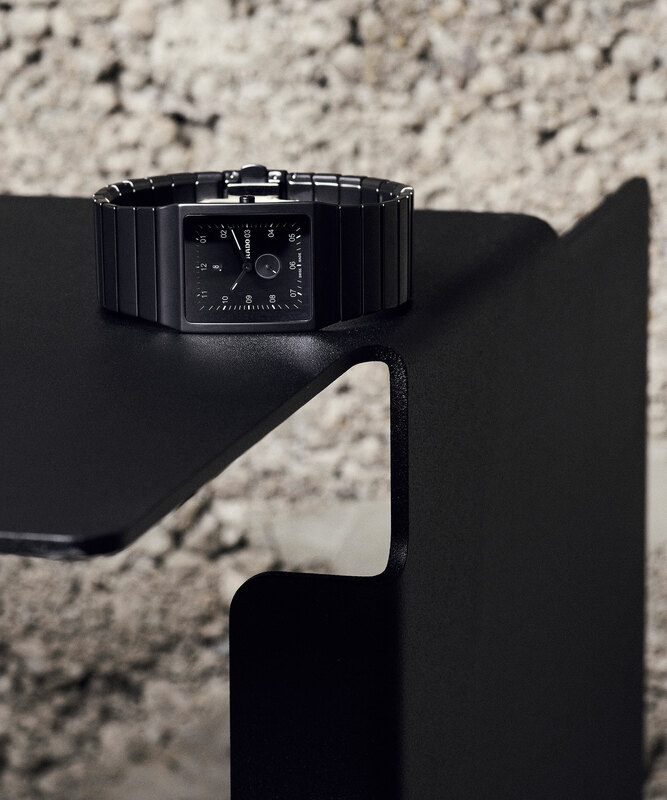 Originally a sleek, shiny ceramic wristwatch characterised by unyielding straight lines, the new Ceramica by Konstantin Grcic has a friendlier form with rounded edges in matte ceramic, along with a striking and legible dial inspired by pilot’s watches, according to Grcic. The new Ceramica line is made up of four models, two each for men and women. 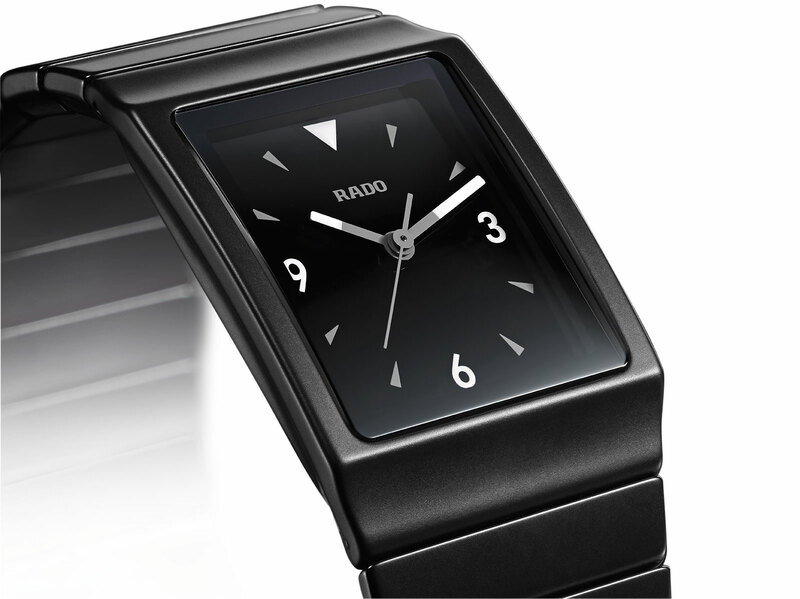 The men’s watches are identically sized, with the matte black ceramic case being 30mm in diameter and 41.7mm long (and a slim 7.6mm high). Both are powered by a quartz ETA movement. The version with the sub-seconds (ref. 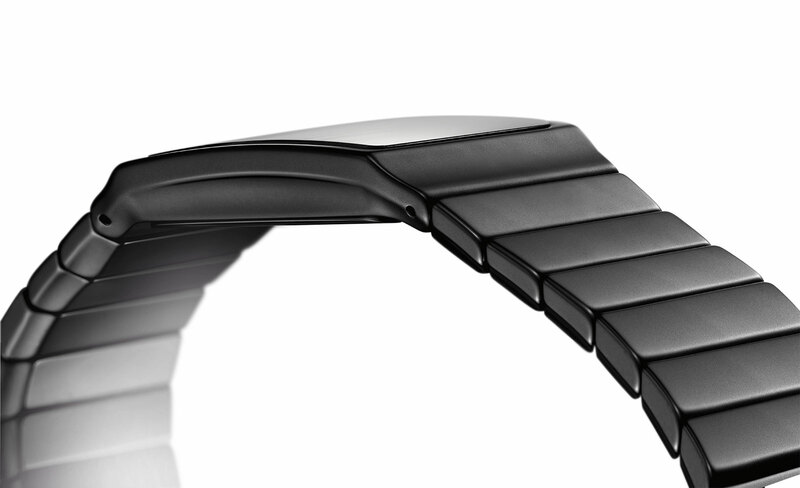 256.0706.3.016) is part of the regular collection, while the centre-seconds “signature model” is limited to 701 pieces (ref. 212.0708.3.015). Similarly shaped but smaller is the ladies’ Ceramica. 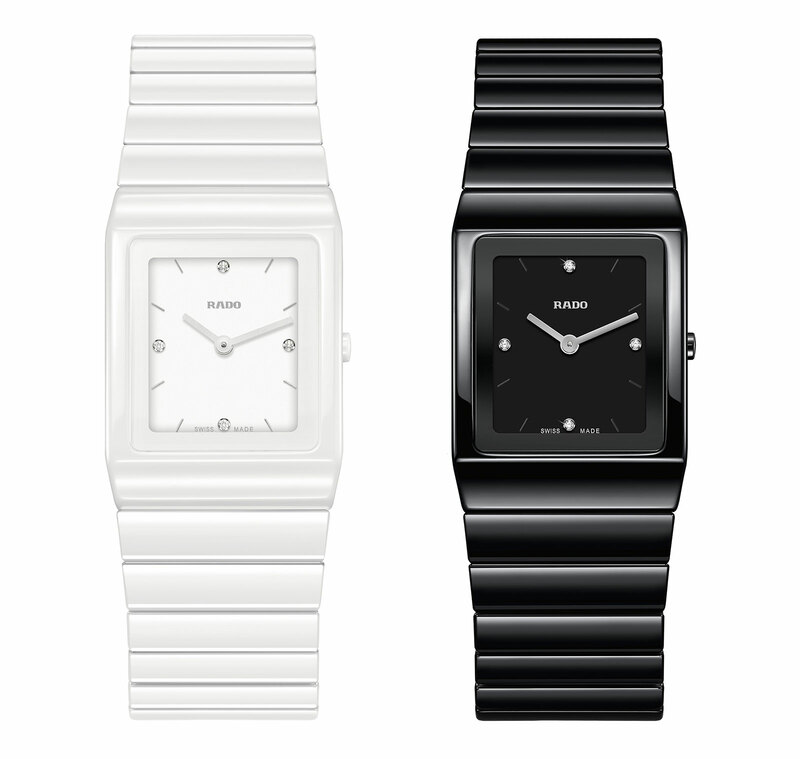 Offered in white or black ceramic, the ladies’ model is also quartz, and a dainty 22.9mm by 31.7mm. The dial colour matches the case, with diamonds at each quarter as hour markers. Ladies’ ref. 420.0703.3.071 in white (left) and ref. 420.0703.3.071 in black. The new men’s Ceramica is priced at US$2100 or S$2760, while the ladies’ model with four diamonds on the dial is US$2250 or S$3020. 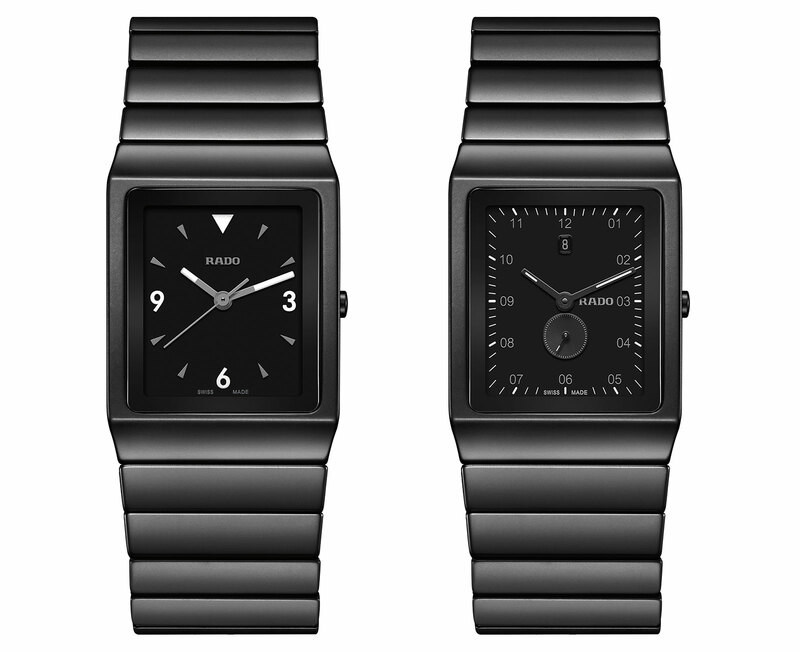 They are available only at Rado boutiques.